Peaceful and Prayerful Excursions or Fun Celebratory Trips. It only takes a few minutes. You may think of limousines and churches in the context of funerals and weddings. So limos are associated with solemn, sorrowful occasions as well as fun-filled festivities. But there are other reasons to use limousines for church functions. 1. Reasons for churches to use limousines. It would be perfect to take a group on a retreat, particularly if you have older members who can't drive. It doesn't matter if it is in Annapolis, the Eastern Shore or other location. Or, you might use a limo for a church outing, a fundraiser or other church event such as a youth group function. There could also be a concert, a banquet or some sort of ceremony a group needs to attend. 2. Professional drivers pamper you. Your chauffeur is professionally trained, polite and courteous. He or she can help elderly members in and out of the limo, or help in other ways you may need. 3. Elegant limo amenities to revel in. Comfortable cushy seats to relax in. A sound system and CD/DVD player to listen to inspirational music. A flat screen TV so you could watch an uplifting movie. And if you are celebrating something, a bar area with ice and stemware. 4. We can work with any schedule you need and any size group. So take a few minutes and fill out the form above and click on the button "Give me my FREE Quote." 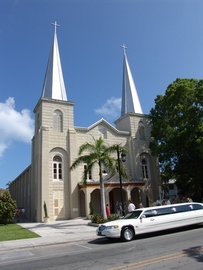 Or if you have questions about church trip limousine, call us at 410-793-1321.